Our customers have been so kind to us over the years, allowing us to not only share in their most treasured moments at the store – but also going so far as to share those memories in these stories with you. There have been incredible proposals, thoughtful birthday celebrations, romantic anniversaries and, of course, some stories that happen “just because”. There are times, however, when the celebration of our relationships is also balanced with sorrow – as was the case with a recent customer who stopped in to share that her father had recently passed away. Stones Jewelry played a meaningful role in her family’s past. Her father gave jewelry as a gift to her mom almost every holiday, and nearly every November her parents would visit Stones, picking out a gemstone at our annual show. Her mom loves design and would work with a Stones team member to have the stones set perfectly, always ready for her to enjoy by Christmas Day. 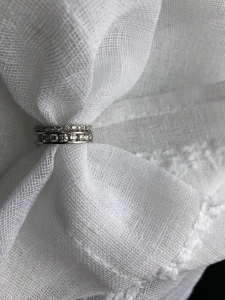 She and her husband shared that they knew her father would be pleased if they purchased a special ring that could be treasured with his memory and passed down through the family. “The beautiful jewelry he gave has become such a sweet reminder of my parents’ relationship, and I know my dad would be pleased if I had my own special piece to remember him by,” she shared. As a standing tradition, jewelry has long been a special way to remember someone. 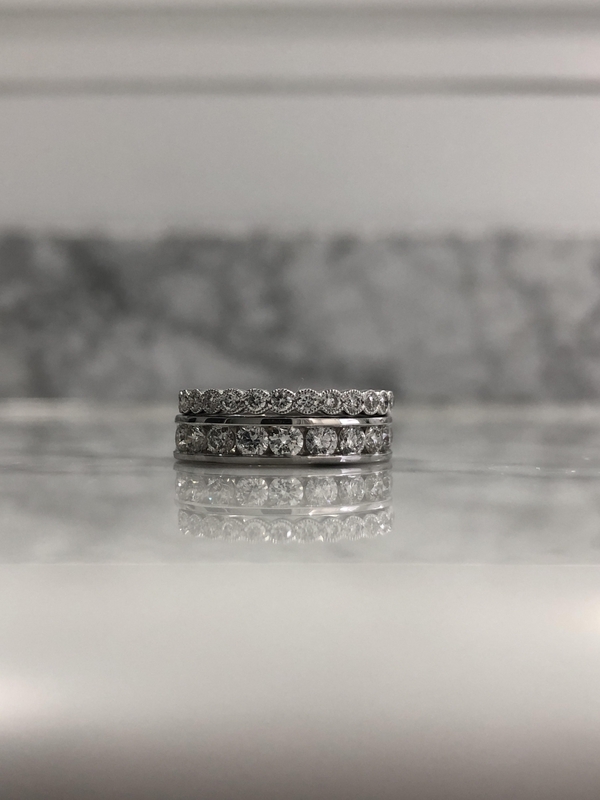 While in this instance a meaningful piece was bought new, we have helped others celebrate their loved ones by remaking inherited jewelry, designing pieces with special birthstones, resetting previously loved gemstones or simply resizing pieces. Fine jewelry can be one of the most cherished gifts you give, as it lasts for generations, the stories of its origin often passed on with it. If you are looking to commemorate a loved one, perhaps enjoy some jewelry they gifted to you, Stones Jewelry can help. Our design staff can create new pieces from cherished stones or help you to design or find something new. Stop in and tell us how we can help. We are so honored that we were able to share in our customer’s journey and remembrance of her father, and will miss his annual visits. He was a WONDERFUL man.